MARGARET GRAHAM: Ken Graham’s wife, Doris’ sister and a nurse. Re-married & became Margaret Fleck. HILDA JOYCE: Ken’s sister and the group’s leader; a machinist in a clothing factory. DORIS ASHCROFT: Margaret’s sister and also a nurse. SYLVIA NICHOLS: One-time professional singer, who also worked in a hardware store. She left the group when her husband became a church minister. JEAN SMITH: Sunday school teacher. Hilda’s best friend. LIZ ERRINGTON: To her it was all just great fun. JOAN LUMSDALE: Re-married & became Joan Jacobson. A sister to Betty. BETTY DICKINSON:Worked at a General Dealers and then in her husband’s plumbing business. KEN GRAHAM: Margaret’s husband and Hilda’s brother. He was diagnosed with cancer in 1971 and died in 1973, aged 34. 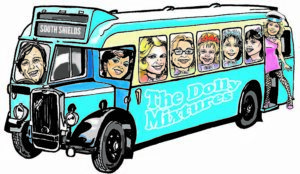 Ken remains in the show after his death, watching over the Dolly Mixtures and Margaret in particular. All other male parts are played by the female Company of Eight. 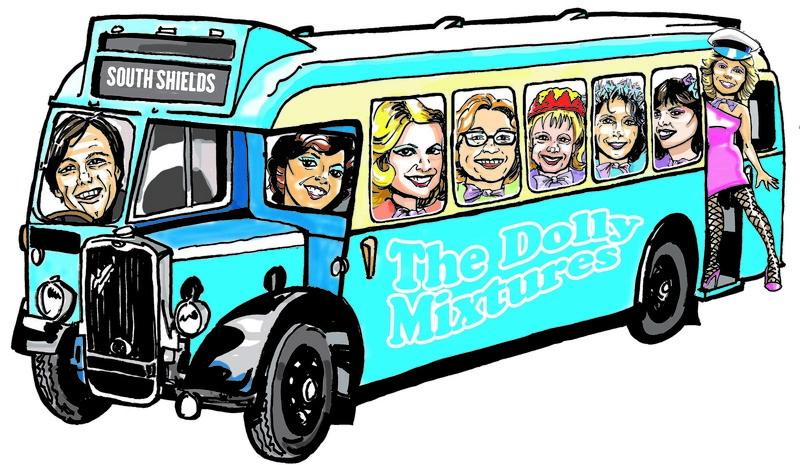 For more information on The Dolly Mixtures, please click HERE to watch 100,000 Reasons documentary.